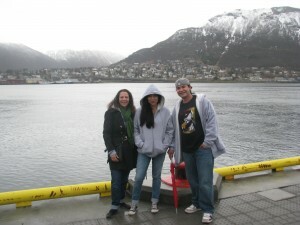 Our exchange partner Western Norway University of Applied Sciences (HVL) in Norway is located in the city of Sogndal. To provide educational opportunities for and to support intercultural activities and projects among students from U.S. and Norway, and to promote goodwill between the two institutions and further the public mission of each. Each institution will determine its own method of selecting students for the exchange program and determine how each of its students is likely to benefit from a particular course of study at the host institution. Equivalency between courses and programs will be agreed upon in advance for each student for the purpose of awarding academic credit. All applications and dossiers will be sent to the receiving institution specifying a deadline for response. Exchange students will be permitted to enroll in courses and programs at the host institution for which they are qualified with the exception of those courses in which places may not be available due to enrollment limitations. Acceptance into a particular program of study implies that the student will be permitted to enroll in all courses required in that program appropriate to the particular level of the student. Exchange students also will be subject to the same requirements as resident students regarding academic performance and course completion. Students enrolled at the host institution will have the same privileges and enjoy the same student services and other amenities as full time resident students. They also will be subject to the statutes, ordinances and regulations of the host institution. The principle guiding the number of students participating in the exchange program is one of approximate parity. Ideally there would be an annual one-to-one exchange of students between the two universities, but latitude will be provided in allowing for unequal numbers of students exchanged in any given year, with the goal being a roughly equal number of students hosted by both sides over time. Each participating student will pay tuition and fees to her home institution. No refund of fees will be granted unless otherwise stated in official university documents, if the student is unable to complete her course of study. Students will be responsible for their own travel arrangements and associated costs. Each institution will arrange accommodations for visiting students. Students will be responsible for payment of accommodations. The universities will also provide meal option information. The student will be responsible for all food costs. The terms under which academic credit will be awarded by the home institution for completion of coursework at the host institution normally will be provided to exchange students prior to their enrollment. Credit to be granted by the home institution also will be dependent upon the grades received by students at the host institution. The 15 credits from the Outdoor Education program will apply at BSU as 3 credits each in goal areas 8, 9, 10 and 11, and 3 credits of general electives. Each student must agree in writing to comply with the regulations of the host institution and with the instructions given by his/her advisor/tutor. Each student must meet the requirements of the host institution for health/hospitalization insurance coverage during his/her stay. Each student must possess a passport and required visas for the period of exchange. Each student must demonstrate that he/she possesses sufficient financial resources to participate in the exchange. Both institutions shall exchange regularly (by paper copy and/or electronically) their respective college bulletins and other information pertaining to course programs, fees, calendars and schedules. Each student shall provide written official certification of health, including immunization information, to the host institution prior to admission.